I wasn’t able to get a table booked with Acquerello for my boyfriend birthday this past Wednesday, which I have been calling in for few weeks to try my luck. After a long search among all restaurants in the area, I couldn’t find one that I really want to go as bad as I would for Acquerello. Finally, I decided to take the challenge and make a 7 courses meal including dessert. 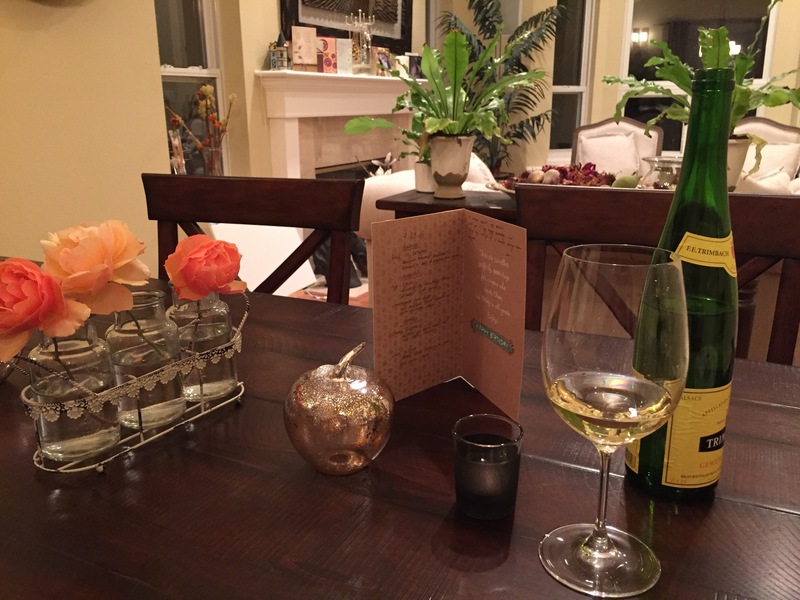 Ain’t have time to do a proper table setting, simply a menu, a few fresh cut flowers, and a bottle of Trimbach Gewurtraminer Alsace 2014. -heirloom tomatoes sandwiched between a bed of arugula and basil mango, drizzled with olive oil and balsamic vinegar glaze, salt and pepper of course. 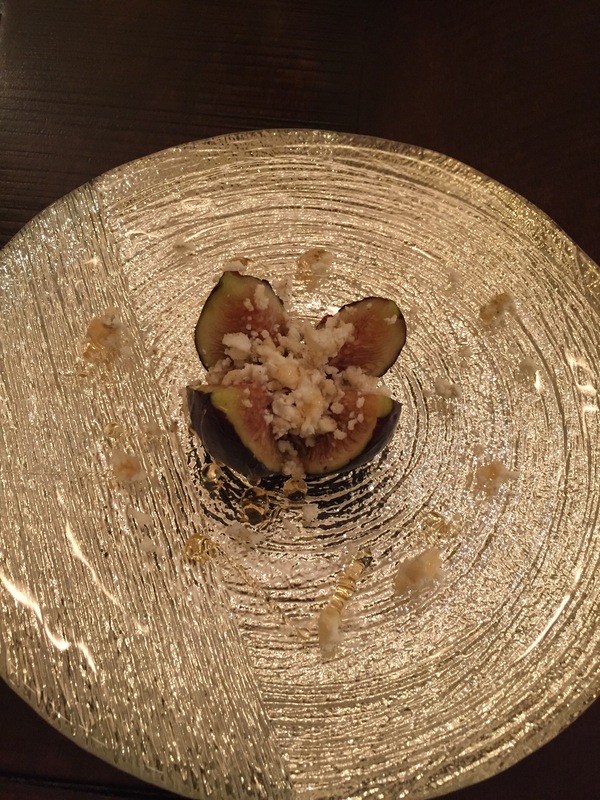 The 2nd course is Fig Fleur. I cut up a fresh black mission fig from the tip of the top, kinda make it a blossom way, stuffed with pepper goat cheese chèvre, drizzled with honey. 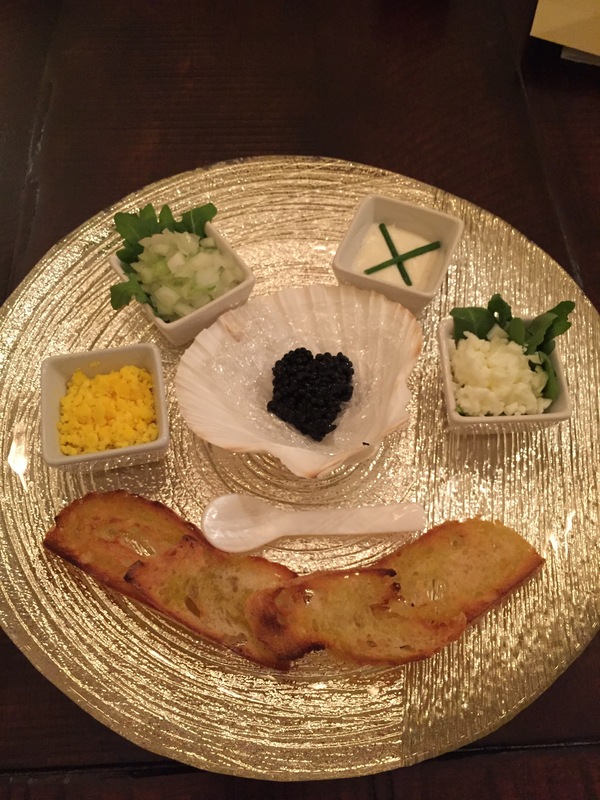 3rd course, I served the caviar plate. My very first time buying caviar from a grocery store. I picked it up from my favorite Whole Foods Market. 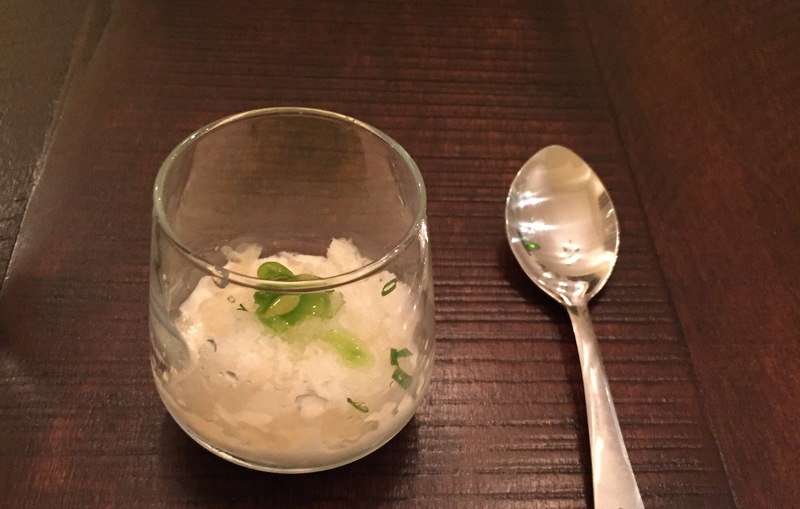 To buy me some extra times, I simply put together a pink grapefruit granita as palate cleanser. 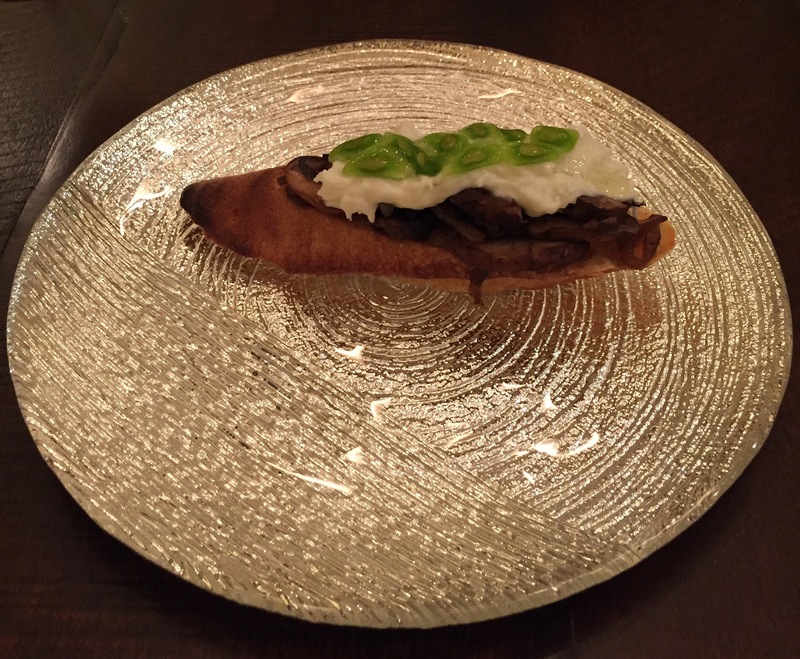 The 4th course, sautéed mixed mushroom with white truffle oil on toasted bagguette, topped with fresh burrata. It happened that I have a Kiwano fruit in my fridge, I set some of the green pulps on top of the burrata to freshen up the look of the dish. 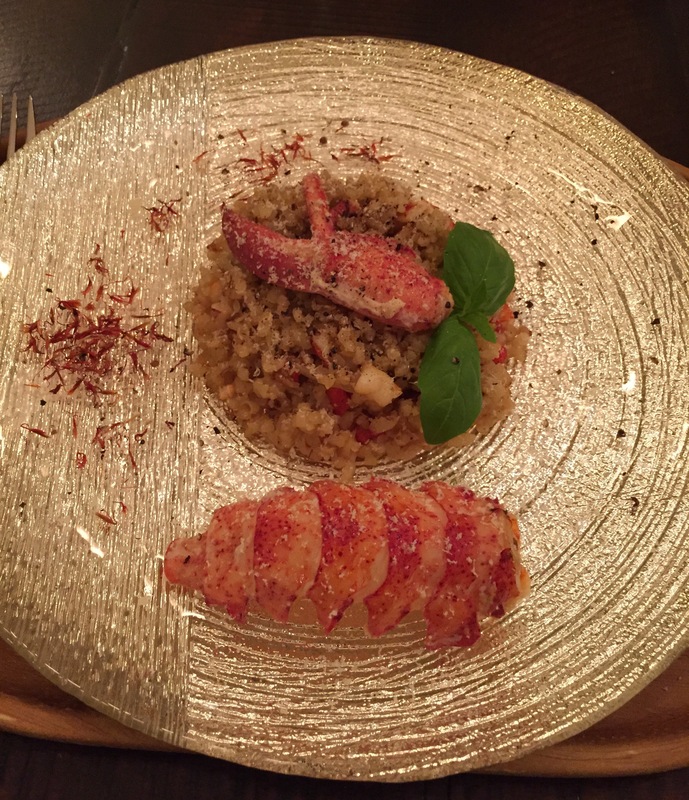 Finally, 5th course, the entree begin with Maine Lobster Risotto. It was the first time I cook a live lobster! 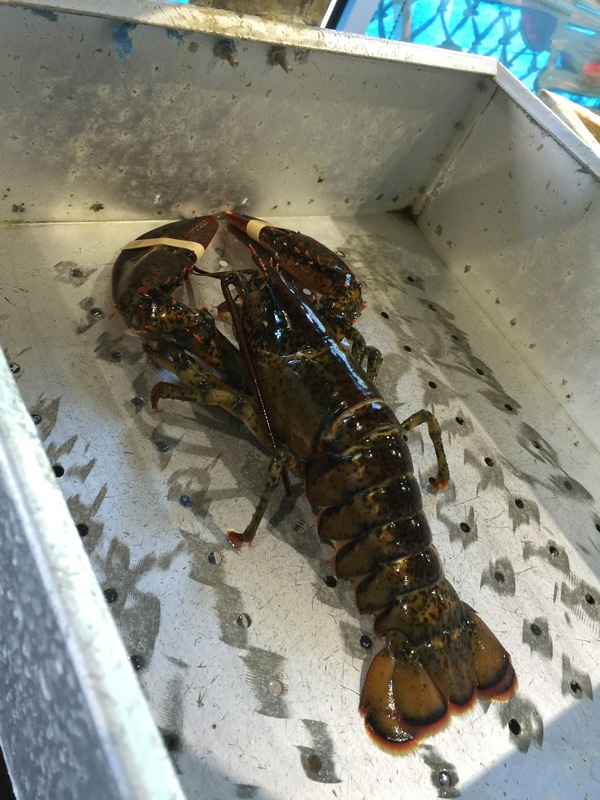 I got this little guy from New England Lobster Market and Eatery! Another palate cleanser to buy me time! 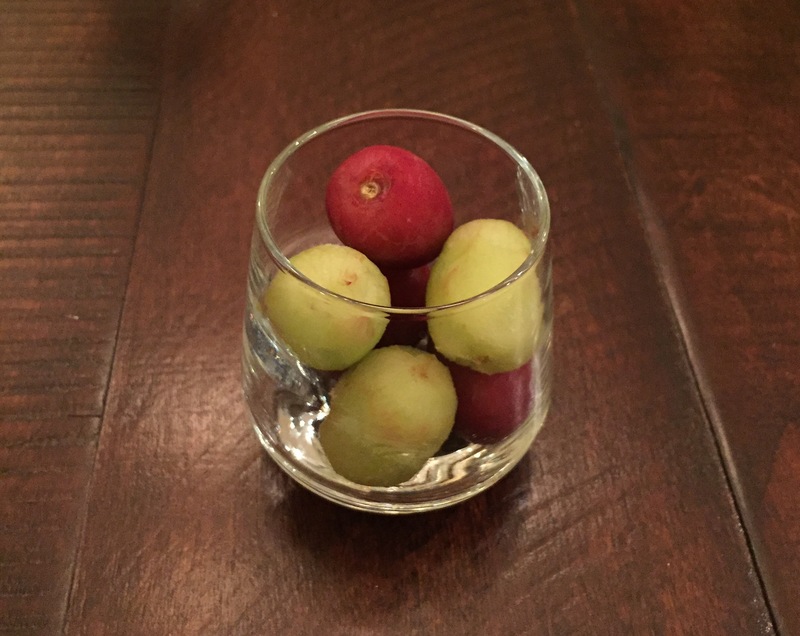 Frozen Grape 🤗 yea, I was running out of idea! 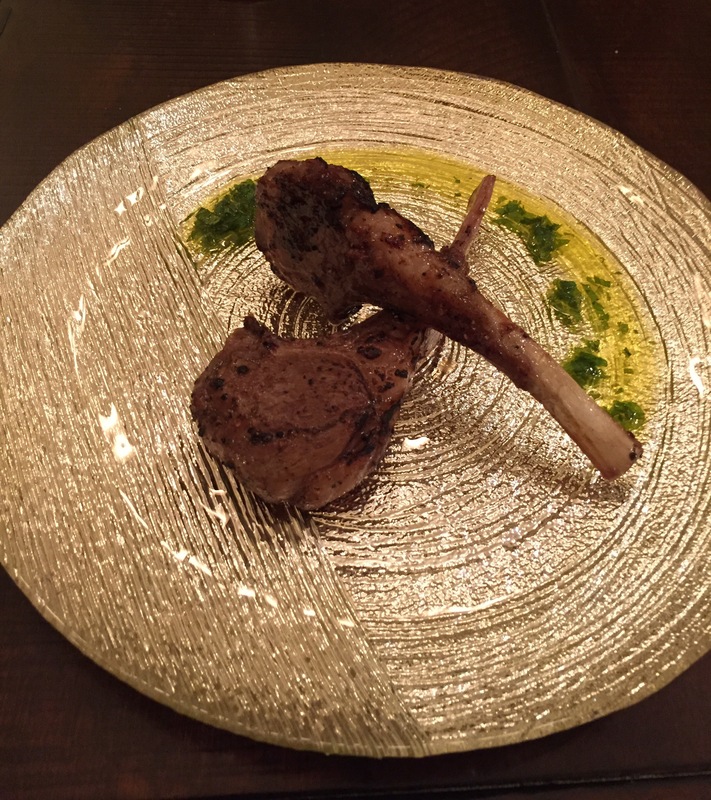 The 6th course, lamb lollipop! I gave them a cast iron quick seared on both sides, dipped into rum, coated with brown sugar, and gave them a nice torch! I am glad I didn’t set up a kitchen fire…. Mint olive oil on the side. 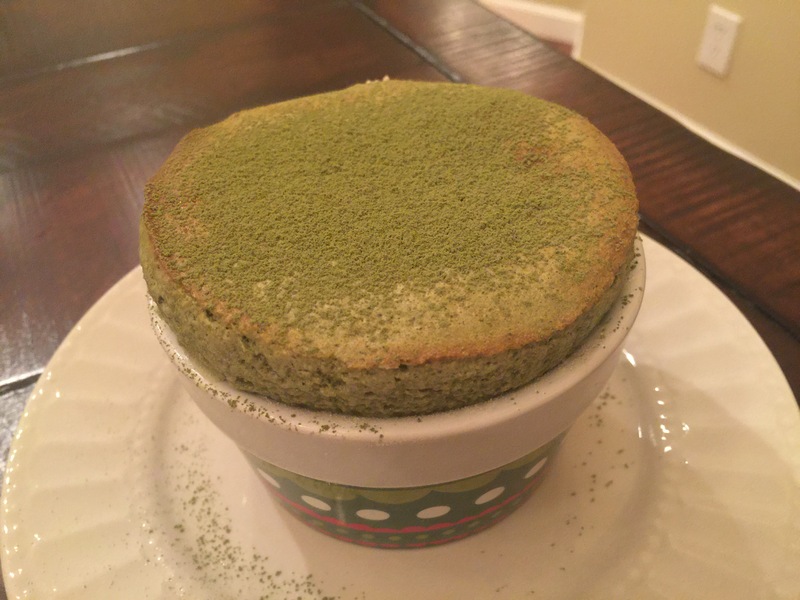 Tada…my last course, and the most enjoyable part of my entire cooking, Matcha Soufle. Too bad I wasn’t aware that my pantry was out powder sugar. So I dusted the top with matcha powder. Does it look like a green hulk?!?! Despite all the mess I made in the kitchen, I think the dinner turned out to be pretty good. Categories: Creative, Food, Home cook | Tags: challenge, cooking, live lobster, new england lobster market and eatery, whole foods market | Permalink.